Home » Update » Support groups FTW! Oh support groups, you are my new favourite thing. I had the great idea to type ‘fodmap’ into my facebook search bar today, and low and behold, there are so many of you out there who are just like me, dealing with this whole fodmap thing. I am not alone. And it feels amazing. Already, I am finding being a part of these groups (and I signed up to pretty much all of them!) is so educational and helpful in my journey. Everyone is asking questions and I can learn from the answers, read through the comments and work out the common misconceptions, the things to look out for, and things I hadn’t even come across yet. It is a learning process almost of osmosis, as I come across ingredient labels people have posted in my feed, and I try to pick out what I see wrong with it or if I think it is okay, before checking the comments to see if I am right. It is almost like a game, and I am pleased to say that as the days tick by, it is one I seem to be getting more and more on top of every day. I may not be winning just yet as I am still far from having this all down pat, but I am getting better, and I have to say I am proud of that. I’ve mentioned before that massive lifestyle change is not something that I really do well, or have done much in the past. Compared to something like moving for work (which I have done), something as personal as changing my diet completely would have seemed insurmountable even 12 months ago. The challenge I am faced is probably not made any less by the fact that my starting diet was not the best – an addiction to Pepsi Max, eating all over the place, constant snacking, no planning at all, and a tendency to lean towards convenience over substance ruled this particular roost. 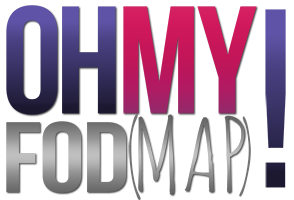 Despite that though, I am pleased to say that I am doing it, and doing it properly, and I am so happy to have found that I am not doing it alone – so, to all the fodmappers on facebook, while we may not have personally interacted, please accept my thanks – you guys rock!